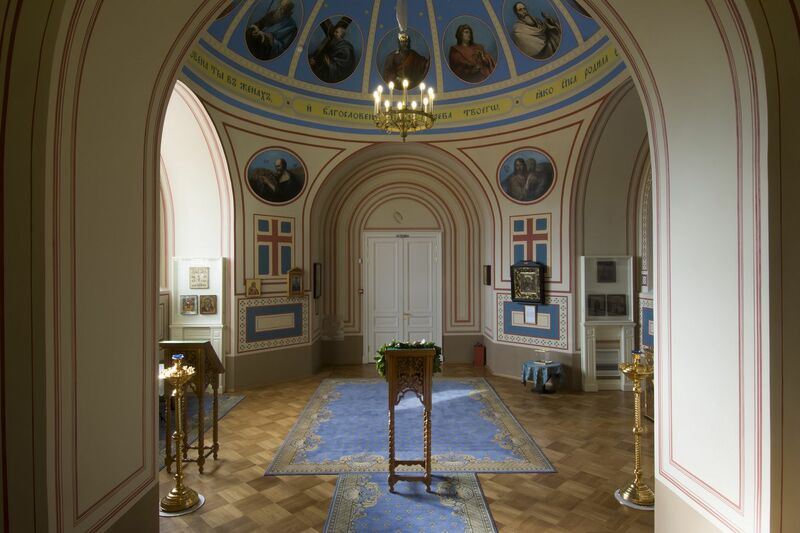 The restoration of interiors of the Home Church of the Protection of the Mother of God is one of the most ambitious megaprojects the Yusupov Palace has undertaken in recent years. When the works commenced in 2005, nothing in the conventional interiors of the lecture hall reminded of a church. In 1878, Prince Nicholas Yusupov Jr. hired the architect V. Kanel to build a home church in the Yusupov family Palace on the Moika River. The project also encompassed a renovation of the Living quarters of his daughter, Princess Zinaida Nikolayevna, and remodeling of the mansion. The Church was designed in the popular at that time Byzantine style. The Church witnessed all the significant events in the lives of the Princes Yusupov: Marriage of Princess Zinaida Nikolayevna Yusupova and count Felix Felixovich Sumarokov-Elston on April 4, 1882. The baptism of their son Felix, five years later. The baptism of the daughter of Felix Yusupov, Irina, attended by the Emperor Nicholas II and his mother Maria Feodorovna. The Home Church of the Yusupov Palace on the Moika River operated till 1917. Then, though the building was not used for serves, its interiors remained unaltered for seven more years. In 1926, the Church was officially closed. In the 1930s, it underwent a major renovation and was converted into a lecture hall. An extensive restoration of the Church began in 2005. 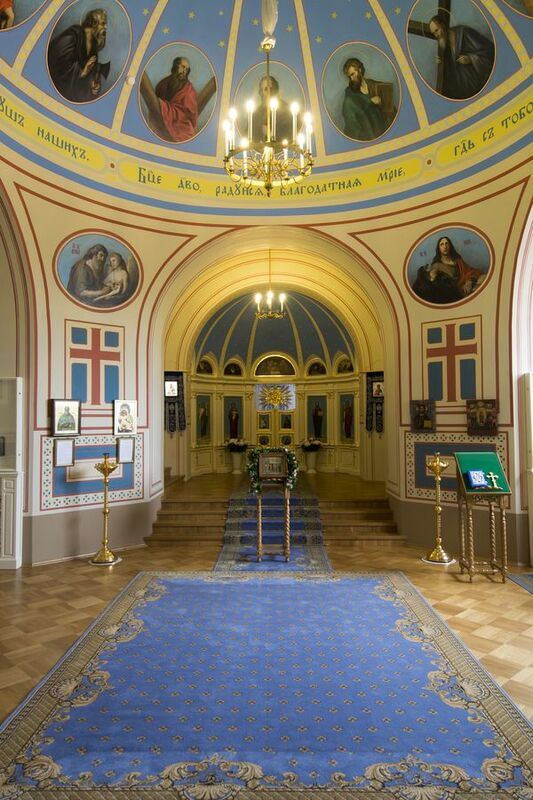 Throughout these years, the staff of the Yusupov Palace and restoration specialists managed to bring back to life the architectural aspect and iconostasis of the Church. Today, the restoration of the narthex featuring an oak staircase has been fully finished. 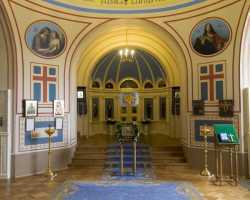 The restoration of interiors of the Home Church of the Protection of the Mother of God is one of the most ambitious megaprojects the Yusupov Palace has undertaken in recent years. 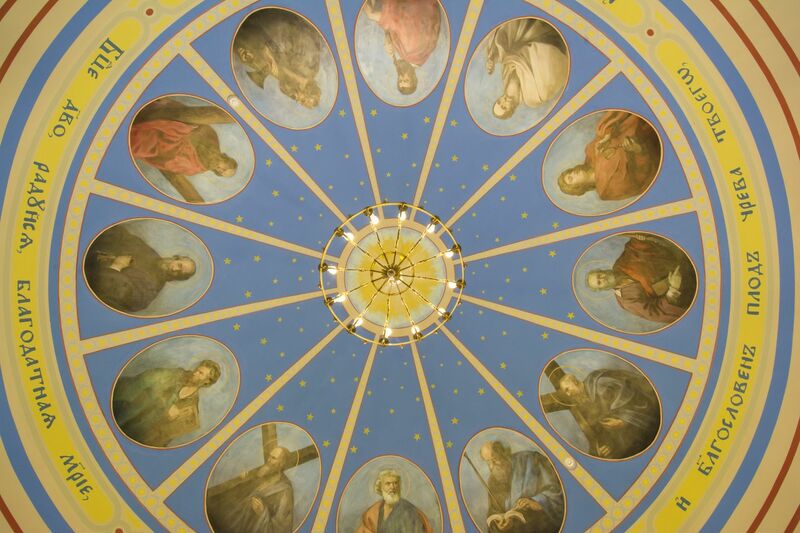 In 2015, through the commitment of the museum staff and personnel of Building Trest JSC, the restoration of the beautiful murals comprising the inner walls of the Home Church came to completion. Lack of archival materials rendered the restoration works particularly challenging. 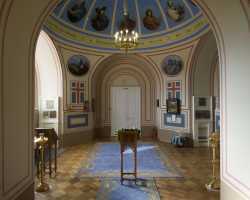 Staff of the Yusupov Palace working hand in hand with restorers developed design drawings of murals. 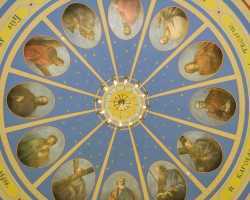 As required by the canons of the Orthodox Church, the ceiling of the dome now bears the images of twelve apostles and four evangelists. The murals on the wall behind the alter have also been restored. The polychrome decorations of the walls were designed based on the small authentic fragments of painting discovered in the Church during the pre-restoration works. On December 21, 2014, Metropolitan Varsonofy of St. Petersburg and Ladoga celebrated the Divine Liturgy in the Home Church of the Protection of the Mother of God in the Yusupov Palace, at 94 Moika River Embankment. The Ruling Bishop also performed the lesser consecration of the Church. Currently, the Protection of the Mother of God Church is open every Wednesday. Free access is rendered to anybody wishing to attend church service. Service begins at 10.00, on Wednesday. The Church is open for the celebration of baptism and matrimony sacraments.